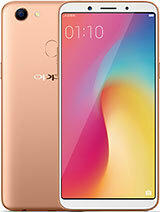 i've bought this phone today. for the price, i think it is really worth it. compared to others with the same features, it is cheaper. overall i think this is a really great phone. hi....this phone doesn,t have bluetooth..how to add bluetooth to this phone? I like this phone because, cheap and good camera, screen, themes, Mp3 ringtones etc. ~190 US dollar(unlocked,new) in Hungary. This phone has a lot of stunninng features compacted into one ravishing gizmo!I love and wish to own it one day. thats a cool way to turn off shutter sound. its working. thanks. we cant add/download bluetooth as far as i know. (2) Themes, screen & games (ya-da, ya-da, ya-da...). (3) Value for money to purchase and re-sell/trade-in. (1) Keypad 2 small. U might drop the phone accidently if U use one-hand typing. The same thing goes to Nokia 3230. (2) If U have oily face (not me...), the screen will get oily too. Use proper phone cover. (3) Dust may get thru the joystick. Use proper phone cover. (4) Speakerphone not easy to access. (5) Low 12MB memory (but hey, its not for discman purpose, its for ringtones collection). (6) IR port slow. Not all Nokia/Samsung/Moto can sync with this model. (7) Not easy to get tweaks, codes and tricks for this model. To "Silent" the shutter sound, call any free-number (eg. your service operator hotline), make sure the line is thru', goto camera function, and take pics. yeah, it's a very nice phone and kinda cheap. the quality of the pictures is excellent... i wouldn't mind a memory card... even though it hasn't, it's one of the coolest phones. Alecx - Romania - 7A, cei mai shmekeri! my comment about this cutie pie.. shucker cellphone is>> this is so fun to use... the sound is for gimmiker like me.. i really loved it.. the video last 5 minutes while some is 60 sec... its so fun that i gotta phone like thiss... im sure nokia phone will gonna envy this fone... coz its the best.. gotta large screen... and the battery last after 1 week... so funny... its so fun..
im only 13.. and having cellphone like this that is prized at the philipines 15,000 is big money for us.. but i will envy my parents if they will never try to buy me.. this one!! its is so cute... i really love it.. im sure u 2.. so get ur's know...!!! I bought k500i for about 135 euros. k700i costs 230 euros, that is much more expensive. For 135 E, 12MB memory, good vga photos (640x480 - like a cheap webcam) mp3, mp4 and mpg play ability, j2me and java 3d. Not Bad! It's a cheap k700 version without bluetooth and radio. At that price, (even cheaper than Siemens CX70, IT ROCKS) Mine had the updated firmware, so all shutter sounds etc can be off. No prob at all! I too tried to shut down the camera shutter sound. cant do it. neither can i turn off the operator logo. For increasing the picture size, press 1 in camera mode. you will get the options 160, 1280, 640, 320. IR is always slow. USB port is better. And again, no options for tying a neck rope to the phone. The red light in the phone power switch blinks when the battery is low. If it blinks all the time, then something is wrong. Better take it to a dealer. You can send message to user groups. after you type the message, continue, more, add receipients. you cant change the screen contrast. apart from all these really small comforts, I am very satisfied with this phone. Face the reality guys. A camera phone is not a digital camera. You always have tradeoffs. 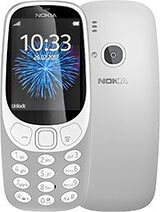 I had been a nokia lover until I got this phone by chance. What I mean to say is, many people think only Nokia is real good. Even I thought so. Its not the case. Even nokia has failure models. So just look at the individual models instead of looking at the company as a whole. Can someone tell me if there is any problem with the digital zoom that has been provided with K500i. I have bought one and i found that the digital zoom never goes upto 4X(It never goes beyond 2X). yeah, cant turn off the camera shutter sound. BUT my friend's K500i can do it when the phone is in silent mode, whereas i cant. So, izzit there are few version of K500i? i asked the SE service center, and she said they cant change the sound setting, So the shutter sound and the limited memory r the only problems. This is a GREAT hp, its cool design,crystal sound,good camera,great features,user-friendly,nice display,cool games and MOST important: Affordable n cheap price.